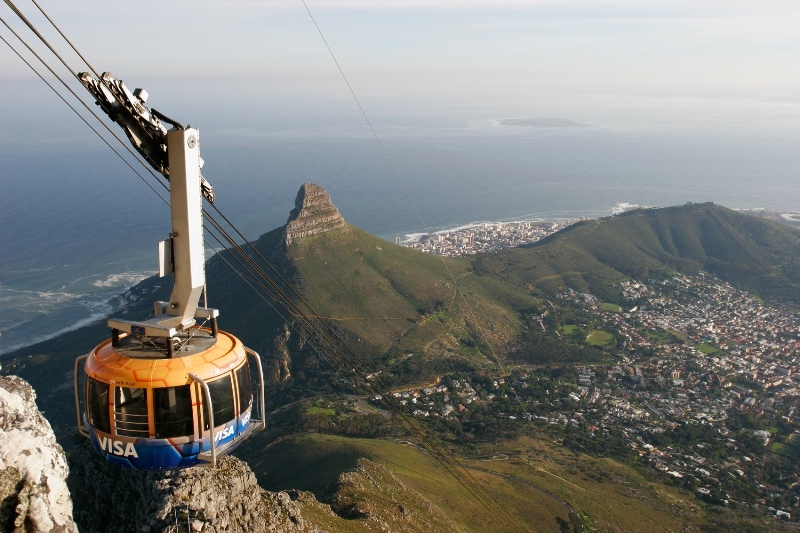 In operation since October, 1929; the Table Mountain Aerial Cableway Company has been providing visitors the chance to stand on top of this Wonder for over 80 years. With a 704m cable-way that takes approximately 800,000 visitors up to the top of the mountain on an annual basis, families, friends, photographers and nature lovers alike are able to experience and capture the majesty that is the mountain for themselves. There are more than 2km worth of built in walk ways on top of the mountain. This means visitors get panoramic views of the Mother City – including Clifton, Sea Point, Table Bay, Robben Island, the Cape Flats and the Cape Peninsula. Also available on top of the mountain are organized tours; as well as conference, dining and toilet facilities. You can purchase tickets at the Table Mountain Ticket Office at the Lower Station, or avoid the queue and buy them online. Various ticket specials run throughout the year – be sure to catch their Kidz Season and Sunset Special. Table Mountain is a World Heritage Site. Boasting 1 460 different species of plants; you’ll be spoilt by the array of Fynbos vegetation on the mountain. During your visit you may also spot Rock Hyrax (or dassies), girdled lizards, porcupines, mongooses, agamas, snakes and butterflies. There are several indigenous bird species can be seen, including Redwinged Starlings, Cape Verreaux’s Eagles, Rock Kestrels and Sunbirds.